The 2011 Kia Sorento offers plenty of trim options and is versatile, but owners have had concerns about a variety of performance issues. Kia had a landmark year in 2010. As well as dramatically increasing its sales and becoming a legitimate contender in the marketplace, it opened a manufacturing plant in the U.S. – West Point, Ga. 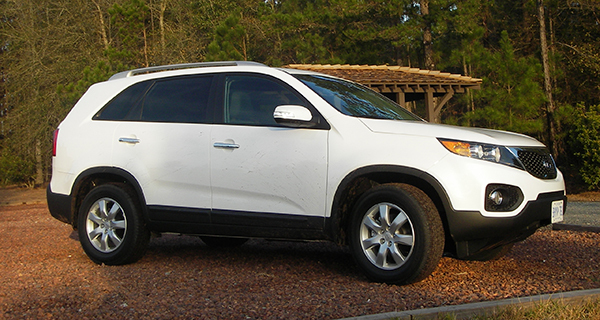 The debuting model was the mid-size 2011 Sorento SUV. Power outputs are 175 and 276 horsepower, respectively, and the four cylinder is available with a six-speed manual transmission. The other choice is a six-speed automatic with Kia/Hyundai’s Steptronic manual shift feature. Brakes are four-wheel disc with ABS, and suspension duties are handle by MacPherson struts up front and a multi-link arrangement in back. You should be able to find front-drive or all-wheel drive, with a locking differential for the rough stuff. The locking differential kicks in automatically and redirects power when things start to slip. the all-wheel-drive system features a 50/50 torque split between the front and rear wheels, with a locking differential. One interesting little gas-saving engineering feature debuted with the 2011 Sorento: when you come to a stop, the transmission automatically and imperceptibly puts itself into neutral and then back into gear when you got moving again. Apparently, this is good for a 12 per cent increase in fuel economy compared to the previous version. Unlike its predecessor, this iteration of Sorento features unibody construction. That gives it a more car-like feeling, but at the expense of being less suitable for off-road excursions. Two trim levels are with both powerplants: LX and EX, with a Luxury model also available with the V6. Inside, you will find seating for five or seven, rare in the compact SUV market three years ago. And, depending upon the model, you can find a full complement of conveniences features and mod conveniences. Leather interior, a massive sunroof, iPod connectivity, navigation system, dual zone climate control and all the other usual goodies can be found. With all the seats folded flat, there’s 2,052 litres of cargo capacity. The V6 model features a 1,588-kg towing capacity, and the four-cylinder AWD version deliveres fuel economy – 6.9 litres/100 km in town compared to 7.7 for the front-drive version. Transport Canada has four safety recalls on file for the Georgia-built Sorento. These include possibly faulty brake lamps, a potentially flawed automatic transmission that could fail prematurely, leaky rear brake calipers and issues with the interior wiring harness that could lead to an electrical short. The U.S. National Highway Traffic Safety Administration also has an alert about a trailer towing harness that is not watertight and could short out and cause an electrical fire. The organization also has 21 technical service bulletins out for the 2011 Sorento, ranging from front coil springs that could “collect rocks and stones,” to noisy automatic transmissions, to issues with the starter solenoid on four-cylinder models. More tellingly, the organization has a whopping 256 complaints from owners on its ledgers. A sampling: “after shifting into reverse, the gear erroneously shifted into neutral and failed to respond to acceleration attempts,” clunking noises whenever decelerating,” “while driving 30 mph downhill in icy weather, the vehicle began to slide uncontrollably until crashing into a tree. The vehicle was destroyed. The air bags did not deploy,” Lots of unhappy owners out there, by the looks of things. Marketing researcher J.D. Power was on the fence with this one, giving the 2011 Sorrento “about average” grades for predicted reliability and overall performance and design and quality. Fuel economy (litres/100 km): 11.1 litres/100 km in city and 7.9 highway (V6 with AWD), using regular gas. Some alternatives: Honda CR-V, Toyota RAV4, Chev Equinox, Ford Escape, Mazda Tribute, Subaru Forester, Nissan Rogue. 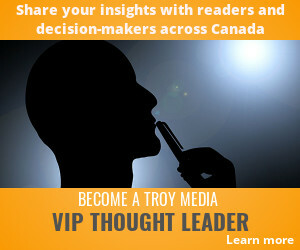 Ted Laturnus writes for Troy Media’s Driver Seat Associate website. 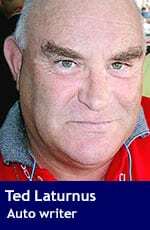 An automotive journalist since 1976, he has been named Canadian Automotive Journalist of the Year twice and is past-president of the Automotive Journalists Association of Canada (AJAC).